Remove the damaged storage unit from the assembly (hard drive, flash cards, RAID systems - please include the card for these systems...). Carefully wrap the unit in antistatic material if it is available. If not, use plastic bubble wrap, foam, or something similar. Half fill a box with a cushioning material such as foam, plastic, bubble wrap or cork. Place the unit and cover it in more material until it is completely protected. Close the box, seal it, print out the cut-out label with our address and stick it on the box so that it is clearly visible. Send it to us via your usual express courier service. As soon as we have received your unit, we will begin to undertake the analysis. 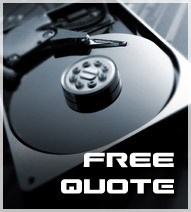 24 hours later we will send you the FREE diagnosis and quote for the data recovery. At this moment you can decide if you want us to continue with the data recovery process.